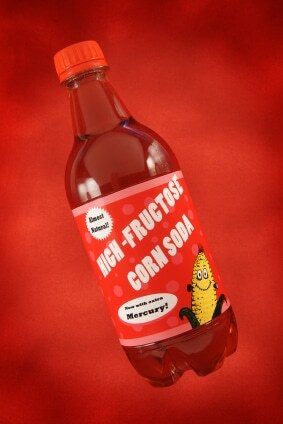 Many people think that besides the high sugar content, it’s the carbonation that makes it unhealthy. But that isn’t really true. When you purchase a soda or sparkling beverage, do you ever wonder how it becomes carbonated? Is there an advantage to drinking something that is carbonated? Simply put, carbonation is CO2 dissolved in liquid. Natural carbonation is a byproduct of yeast through fermentation, whereas artificial carbonation is injected without fermentation. For those familiar with the delivery system of carbonation and alcohol, you know that carbonated, alcoholic drinks get you drunk faster. 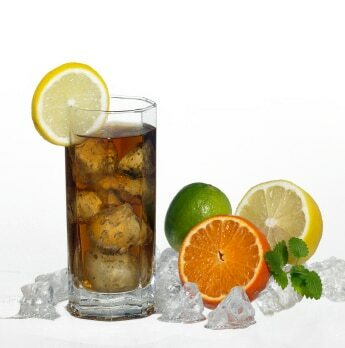 Carbonation increases stomach pressure, which pushes the contents through the stomach lining and into the bloodstream. This is the benefit of naturally fermented carbonated drinks because the delivery system is enhanced to the muscles for b-vitamins, minerals, glucuronic acid and other nutrients. This isn’t true for sodas. In sodas, artificial carbonation poses many problems. First, since it is not fermented by yeast and preserved by probiotics, it needs a preservative. The preservative of choice is sodium benzoate, which when combined with vitamin C produces benzene. Benzene is very harmful and suppresses the immune system and disables the energy source of cell’s DNA. Second, the delivery of high fructose corn syrup or artificial sweeteners gets mainlined to the bloodstream, causing erratic blood sugar levels, fat gain, and other massive mineral imbalances. Artificially carbonated drinks can also be very acidic. Phosphoric acid – mainly found in sodas – is used to give a sharper flavor and slow the growth of mold and bacteria. It binds to the electrolytes calcium and magnesium which lowers bone density and therefore increases your risk of fractures. Phosphoric acid is also very corrosive, making these drinks harmful to your teeth and your muscle recovery. Would you like mercury with that? One study found that almost half of tested samples of high-fructose corn syrup contained the toxic heavy metal mercury and nearly a third of 55 popular brand-name food and beverages (including dairy products, dressings, and condiments) contained mercury as well. While some companies claim to use mercury-free methods, it’s not guaranteed which products are free of this toxin. Why is mercury an issue? One study from Diabetes found that mercury decreased insulin secretion and increased blood glucose levels. After mercury exposure was taken away, insulin and glucose levels gradually returned to normal. 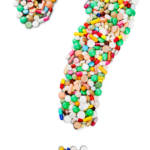 The authors concluded that mercury is a possible environmental risk factor for diabetes. If consuming multiple sources of inorganic mercury, damage to the gastrointestinal tract, nervous system and kidneys can occur, along with skin rashes, mood swings, memory loss, mental disturbances and muscle weakness. The Picts occupied Britain and Scottish highlands for millennia. They were very short, much like the dwarves from Lord of the Rings, and were known for being great fighters with tremendous endurance. The Picts had a saying that “mead-drinkers have as much strength as meat-eaters,” and was often consumed before battle. Heather honey is high in protein, along with the protein made by the wild yeast, and would have been combined with bee venom, propolis, royal jelly, honey, and wax. Bee pollen contains the amino acids arginine, histidine, isoleucine, leucine, methionine, phenylalanine, threonine, tryptophan, valine, and glutamic acid. It also contains gonadotropic and estrogenic hormones, and Human Growth Hormone Factor (this profile would explain it’s equivalency to meat among other compounds). There is a reason we crave carbonation, and I started wondering how I could make a drink that would have possibly been made in our earliest history. This would have included putting wild honey (which would contain wild yeast), berries, herbs and water together and left to sit. Wild yeast from the air was used for thousands of years to make alcohol. Saccharomyces is just waiting in the air to feast of sugar, and they are different in every microclimate. The same yeast that makes bread, makes beer. As you may have heard, San Francisco is known for their sourdough bread because of its distinct flavor. This is true all over the world. The use of domesticated yeast didn’t start until the late 1700’s and 1800’s, and it was then that uniformity could be created for a certain taste and outcome. But this is where it gets interesting. Wild yeast has a low alcohol tolerance, dying off at around 3-4%. The environment actually becomes toxic to the yeast with higher amounts of alcohol. The only thing I could see that came close to this type of recipe that wasn’t mead was called Fruit Kvass. It took me some time to get the proportions and fermentation right so I didn’t end up with alcohol, but also so the sugar content wasn’t too high either. The alcohol content is probably close to Kombucha; around .05 to 1.5%. These drinks not only turned out well but turned out so well that the people who tried them wanted me to create a full line to sell. I kept these recipes as a closely guarded secret, but to be honest I think they need to be made in small batches and consumed within a week because the wild fermentation is unpredictable. Each one often tastes a little different, and each day the taste will get a little drier. But the variation is also what makes it so unique. So now I bring you the gift of these drinks to enjoy all year long as an alternative to soda. Let’s bring back the cottage community of local brewers back to the scene! Local wild wildflower honey (wild honey has the wild yeast needed to ferment the drink. Pasteurized honey will not work. Remember, the plants from which the honey is collected contains a concentrated and medicinal does of that plant). Here are 3 of my favorites, and the variations you can make are only limited by your imagination. *If this seems like more work than you are up for, scroll down to the bottom for quick alternatives to soda. 1. Add fruit, honey and fill with water, leaving a few inches at the top for expansion. 2. Place the airlock on. Leave in a warm spot, but out of the sun. 3. Let ferment for 3-4 days depending on the temperature. The airlock should be bubbling before you transfer it. 4. Strain and transfer to 16 oz. bottles, leaving an inch at the top. Add three raisins and seal. Move to the refrigerator once the raisins are floating. Make sure you do not let it sit for too long. The bottles could explode from the carbonation. The raisins will often start floating within 8 hours. Drink within 3-4 days. What is the nutritional quality of fruit Kvass? Wild honey is one of the most impressive foods on the planet. Each drink is fermented by the yeast from wild honey, creating a beverage resembling mead’s health qualities. If you were to use a lot more honey and commercial yeast, you would get an alcoholic beverage called mead that would require a much longer fermentation time. With these recipes, you have a light, refreshing, carbonated health tonic. Here are some of the amazing qualities of raw honey, and one of the many reasons why it is so important that we protect bees from disappearing (*cough, pesticides, GMO’s *cough). Contains protein, carbohydrates, calcium, phosphorus, iron, niacin, vitamin C, vitamin A, beta-carotene, B-complex, vitamin D, vitamin E, vitamin K, manganese, sulphur, chlorine, potassium, iodine, sodium, copper, magnesium, multiple liver enzymes, hydrogen peroxide, formic acid and substances that have yet to be identified. Possesses antibiotic, antiviral, anti-inflammatory, anticarcinogenic, expectorant, antiallergenic, laxative, antianemic and tonic properties, antifungal and stimulates the immune system. Improves chronic bronchitis, asthmatic bronchitis, bronchial asthma, chronic and allergic rhinitis and sinusitis. Effective in the treatment of colds, flu, respiratory infections, and a suppressed immune system. Unlike fruits and vegetables that lose vitamins and minerals after being picked (spinach loses 50 percent of its vitamin C content within 24 hours of being harvested. Another reason to either grow your own or sign up for a CSA with a local farm) honey preserves vitamins indefinitely. Wildflower honey generally has the largest overall concentration of vitamins. If the honey contains bee pollen, you will not only have a long list of vitamins and minerals, you will also have the amino acids arginine, histidine, isoleucine, leucine, methionine, phenylalanine, threonine, tryptophan, valine, and glutamic acid. 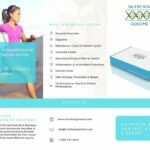 It also contains gonadotropic and estrogenic hormones and Human Growth Hormone Factor. (You could also add bee pollen to the drinks if it does not have it). Pollen is possibly the single best source of rutin, needed for strengthening capillaries, minimizing bleeding and encouraging coagulation. The protein and other components in pollen have been found to enhance energy and endurance in regular doses. A number of clinicians have commented that pollen is so effective as a nutritive food, that human beings could live on nothing but pollen and water. 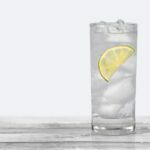 Are there quick alternatives to soda I can make in minutes? Idea #1 Purchase Gerolsteiner mineral water and add 2 oz. of unsweetened fruit juice to 14oz. water for flavor. Idea #2 Add 1/2 sliced cucumber, 1 sliced lemon, 1 orange and 1 handful of mint leaves to 32 oz. of water (carbonated or flat) and keep cold in the refrigerator. Idea #3 Add 2 Tbsp. fresh lemon juice to 8 ounces sparkling water with 2 drops liquid stevia or xylitol to taste for a sparkling lemonade. 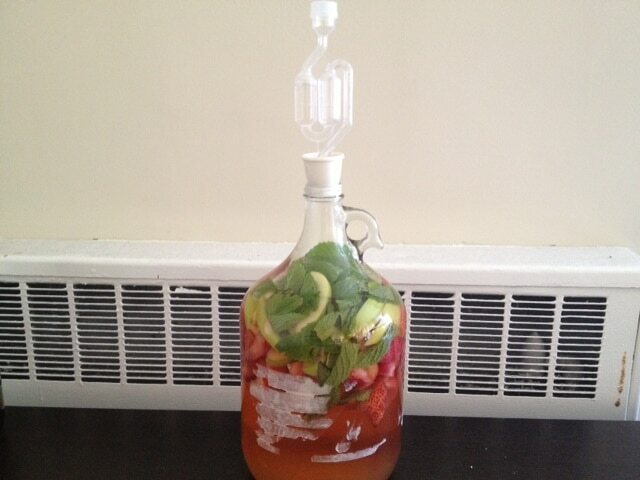 Idea #4 Buy Kombucha! It is a fermented tea that has been made for thousands of years. It is high in probiotics, antioxidants, organic acids and low in sugar (depending on the process, it should be less than 5 grams) and helps satisfy the carbonation craving. Its sweet/sour taste helps dampen the desire for sugar. Idea #5 Add a single serving packet of Vega Sport Electrolyte Hydrator to sparkling water for a quick, carbonated electrolyte drink. Idea #6 Organic Water Kefir Grains: You can make carbonated fermented sodas with the same process it takes to make milk kefir. Go to Cultures for Health for instructions. Very informative. I am going to have to try a few of the recipes. Great, let me know which ones you like the best. I like Kombucha, my body does not. Within 1/2 hour of drinking a bottle of some Kombucha/ginger mix I get a screaming headache that often turns into a migraine. I also don’t care for the large amounts of sugar in Kombucha drinks. I would like to try the apple/strawberry mix. I don’t have bottles to decant the ferment into, could I use Mason jars instead and just not screw the ring on all that tight? Interesting you have that reaction. Yes absolutely. I’ve made small batches that way to test flavors and it worked fine. On day 3 of Kvass using apples, raisins, one slice lemon, raw unfiltered unpasteurized honey, and store bought filtered water. No sign of fermentation! Apples were not organic, so I washed them in mild dish soap (not antibacterial)and then rinsed before adding. Could the washing account for my lack of fermentation evidence? Should I toss it or give it another day? Made strawberry kvass same day with organic strawberries, and they do have evidence of fermentation. Yes give it one more day. Slow fermentation usually has to do with temperature. Make sure it is between 75-80 degrees but out of the sunlight. I have had some that took a 4th day. If that’s not the issue and it still hasn’t fermented, try using unwashed organic apples next time. It is possible any pesticide or soap residue could have been to blame. Thank you! I’m thinking it’s probably not temperature, because we are in the 75-80 range, and strawberry kvass is bubbly. I also used cinnamon in the apple kvass, and I’m wondering if that might be a factor. I have a question about the use of an airlock. Can you ferment it without an airlock and open to the air in order to give yeast oxygen so they won’t produce much ethanol. 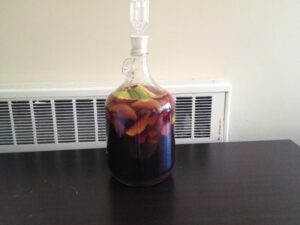 Also, can you ferment it with regular sugar and no honey, using the yeast on the fruit skins? You could do an open ferment, however, you are more likely to get multiple wild yeasts that may cause unfavorable flavors. Using an airlock ensures the wild yeast from the honey is the predominant yeast. Yes, you can use unwashed fruit and sugar. Everything ferments, but to get the results you want may take a little more intervention. I know kvass keeps fermenting even in the fridge. How do you stop fermentation? You bet! Unfortunately, you can’t stop fermentation. It’s best to just consume them within a week.